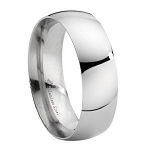 A rich looking stainless steel men's wedding band has an utterly affordable price tag. Durable and hypoallergenic 316L stainless steel has a satin finish center band framed by polished step down edges trimmed with milgrain. 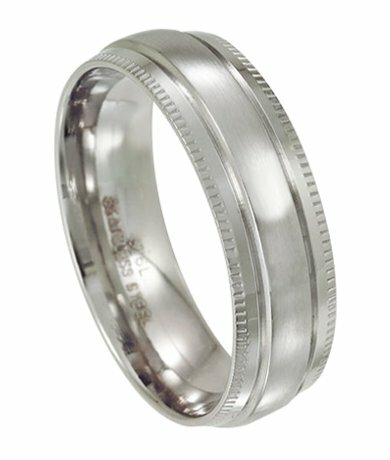 With its 7mm comfort fit band, this wedding ring is as easy to wear as it is handsome.